You’d think that a beer drinker of my vast experience would know better, but I neglected to gently decant this second holiday ale from France, and problems ensued. Things were off to a promising start when I poured a wee dram of the Cuvée de Noël, which comes from a small family brewery attached to the Au Baron restaurant in the equally small town of Gussignies, France. The Au Baron restaurant has been in operation since 1976, but in 1989 Alain Bailleux and his father, Roger, decided to install a small brewery operation that has been going ever since, and now extending to a third generation in Xavier Bailleux. There are a variety of petite confusions at work here. The brewery is sometimes called Brasserie Bailleux, sometimes Brasserie Au Baron. 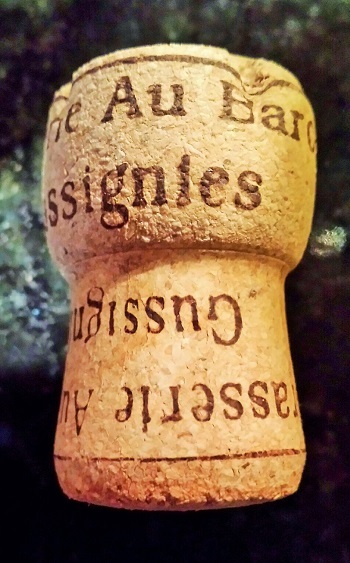 (I’m going with the latter, since it’s on the cork.) 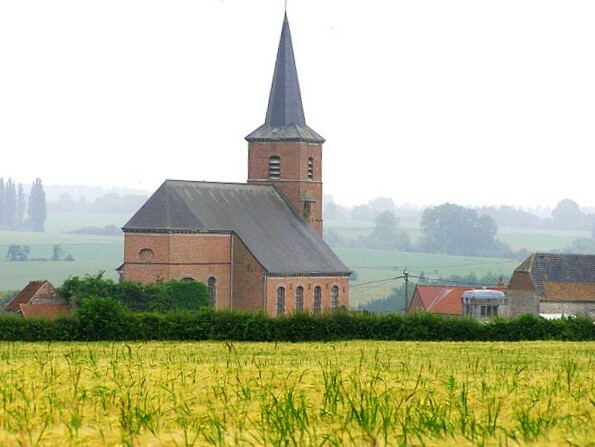 The Bailleux family is Belgian, but Gussignies is in France, albeit fewer than 300 yards from the Belgian border. Then there’s the saison versus bière de gardes farmhouse ales question. The former is generally considered a Belgian style, the latter French. Since the family more or less straddles the border, they consider their beers to stylistically do the same. And on the Shelton Brothers website (the U.S. importers) the Cuvée de Noël is called a bière de garde. But right on the label it’s called a saison. Mon Dieu! 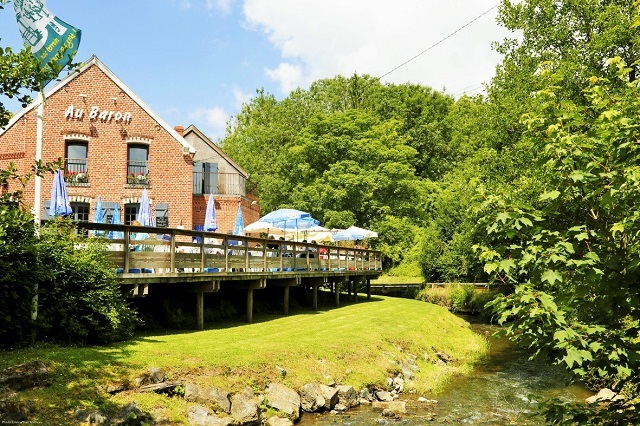 The brewery is best known for a beer Shelton also imports, Cuvée de Jonquilles, named after the daffodils that surround the restaurant in the spring. But a variety of beer books I consulted are equally confused over what style to call it. Better to just take it on its own merits, and my wee dram of the Cuvée de Noël looked pretty in the glass, a mahogany beer with garnet highlights, complex dark, fruity and boozy aromas (my wife detected cherries, with some chocolate thrown in). It was all very alluring and the flavor was involving, tilted toward caramel sweet, though in the end seemingly a bit thin for what one might have expected from the nose and appearance. 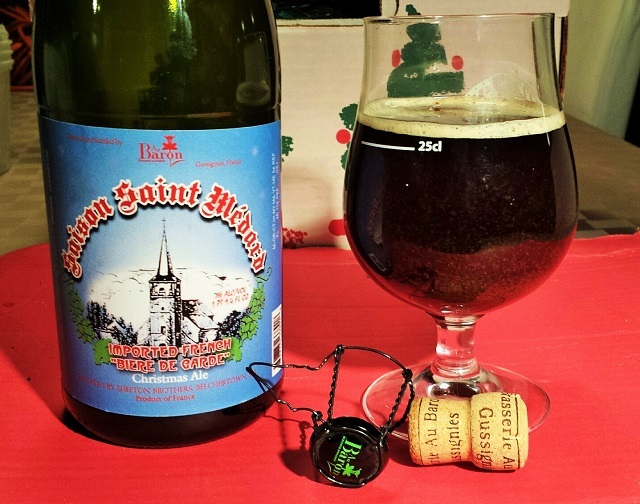 The beer is a loaded-up version of the brewery’s regular Saison Saint Médard (which Shelton does not import), named after the patron saint of the town and the church depicted on the label. Médard, or Médardus, a rather obscure saint from the mid-first century, is said to have been frequently depicted laughing with an open mouth, and therefore is considered the patron saint against toothache. But he’s also considered a patron saint of good weather and brewers. Anyway, as I was pondering the label I noticed a finger of head in the 750-ml bottle, and this should have tipped me off that the unpasteurized, unfiltered, bottle-conditioned brew might have a goodly amount of sediment left in it. But I heedlessly poured more beer in the glass. Into each life a little yeast must plop, or however Longfellow put it (in “The Rainy Day”). Plop was the operative onomatopoeic word. There was such a plop into the glass that I was immediately reminded of the woman who sued Coca-Cola because she found a dead mouse in her soda bottle. For my money ($14.50 in this instance), Saint Médard fell a little down on the job handling my yeast problem. Still, I guess it’s better than a toothache.